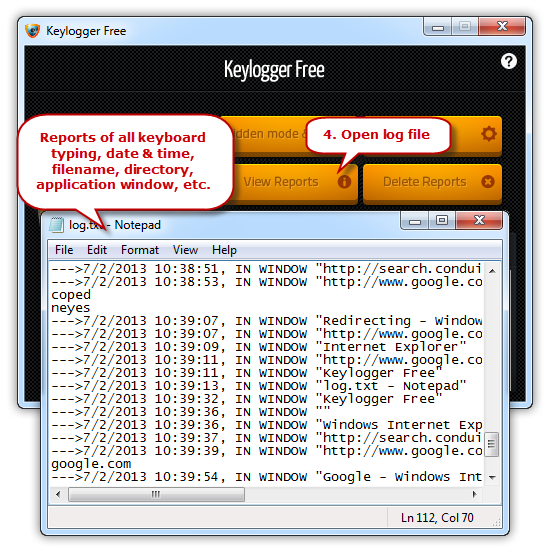 Keylogger Free can generate full detailed reports in the hard disk of the computer. Every time the user changes program, the report will include the name of the new program and the exact time. The log reports include the info of all keyboard activities & typing, date & time, filename, directory, application window, etc. It stores a continuous log even across multiple operating systems on one computer. The detailed reports are useful for a user to know if the computer is being used in real time. 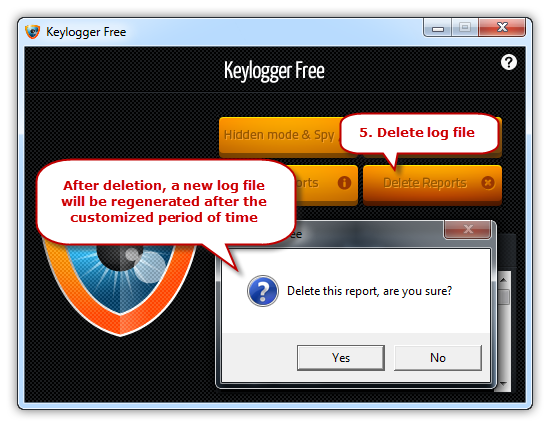 You can set the time to automatically control the speed of log generation and delete the report as needed. 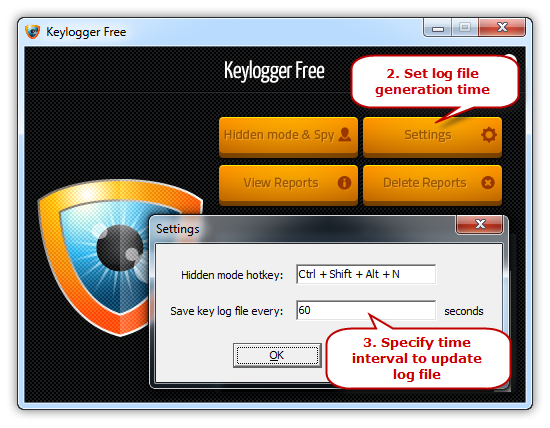 Click “Settings” and enter the value of time interval in “Save key log file every” to manage how long the log will be refreshed or use the default one (60 secs). View Reports – open the log file and you’ll see the info of all keyboard activities & typing, date & time, filename, directory, application window, etc. Thelog reports will be updated and saved after the customized period of time. Delete Reports – delete the log file. 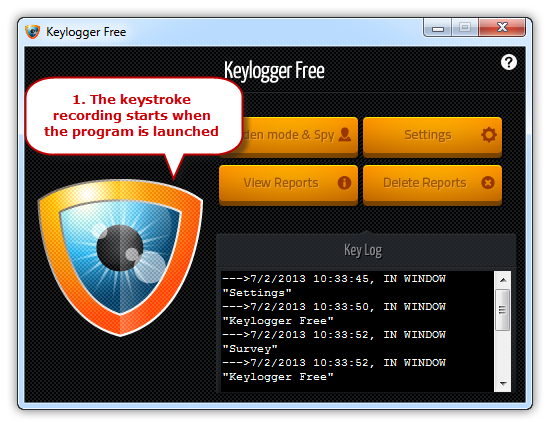 If you keep the keylogger running a new log file will be regenerated after the customized period of time.